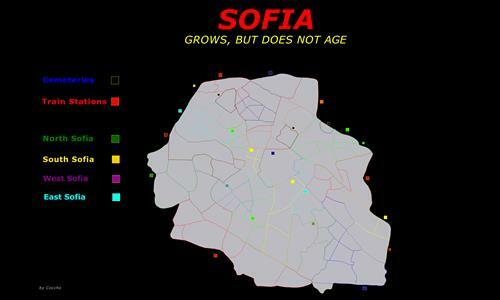 A map based on the largest districts in Sofia, the capital of Bulgaria. The 3 territories are Sofia's largest cemeteries. Each one is worth -2 armies by default, but combined they are worth 8 armies by default. I thought it would be a nice strategy-changing feature when picking starting territories – just like wastelands. Review by GeniusJKlopp on 8/31/2016. Sofia? Rating it 5 just for that. Where do you live, Coccho? I'm in Sofia too, Levski V.